MOTIVATED SELLER!! 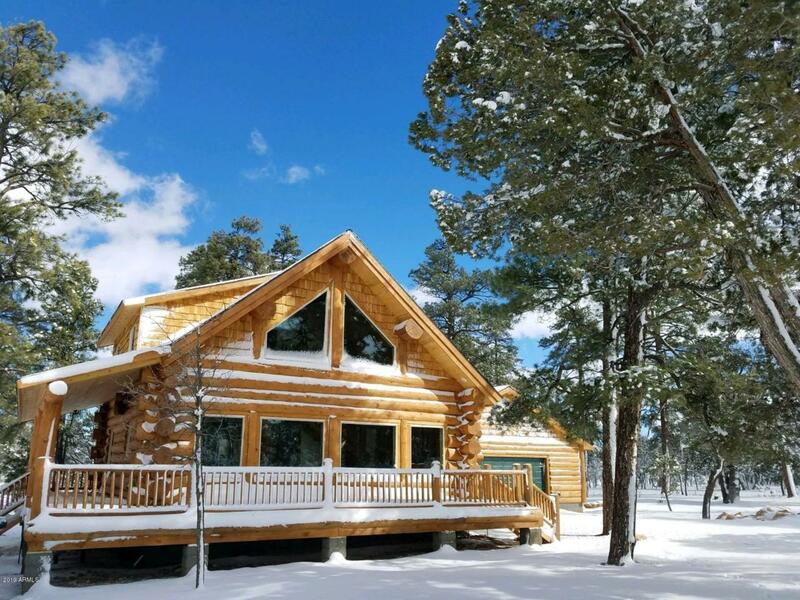 This home has it all featuring Blue Spruce ( including ceilings) Scandinavian cut logs with an average log size of 22'' to 36''. Upstairs you will find the master bedroom suite with a sitting room and your very own walk out balcony. Granite counter-tops through out including the bathrooms will assure you the owner did not spare any expense on this home. From the epoxy garage floors and breezeway floors you will enter through the elevated hallway into the living room where you will find the remote controlled pellet stove for those who hate cutting wood. Up above the living room you will see the custom 6 foot antler chandelier center piece. So much more to list come see for your self before its too late!! !